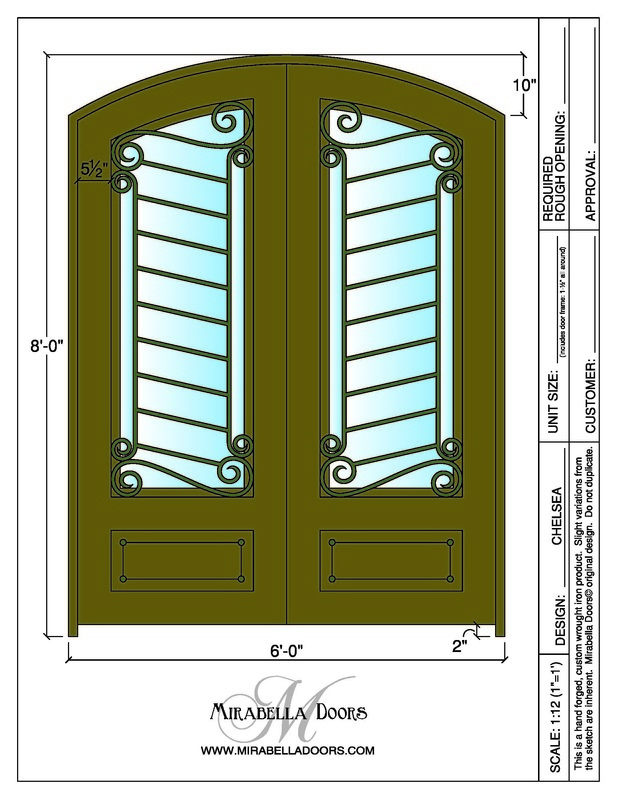 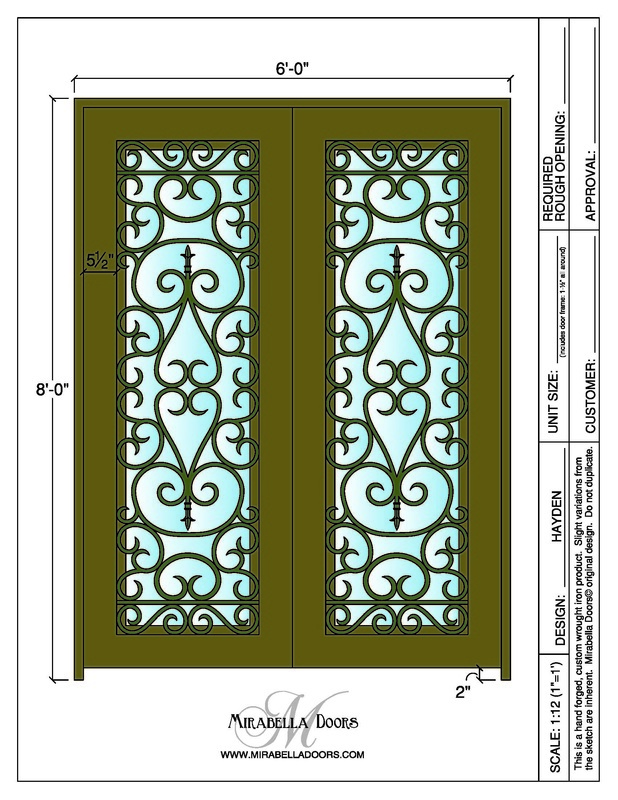 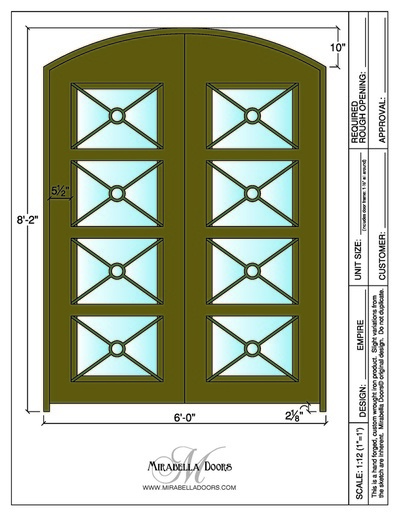 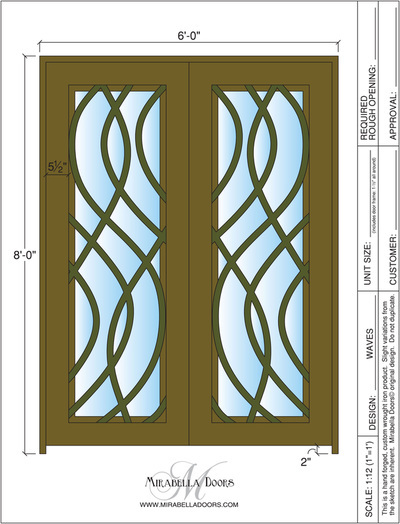 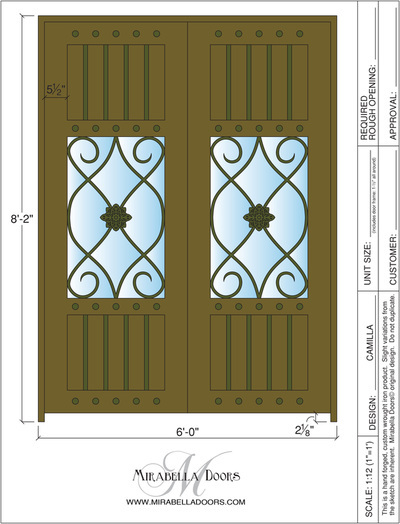 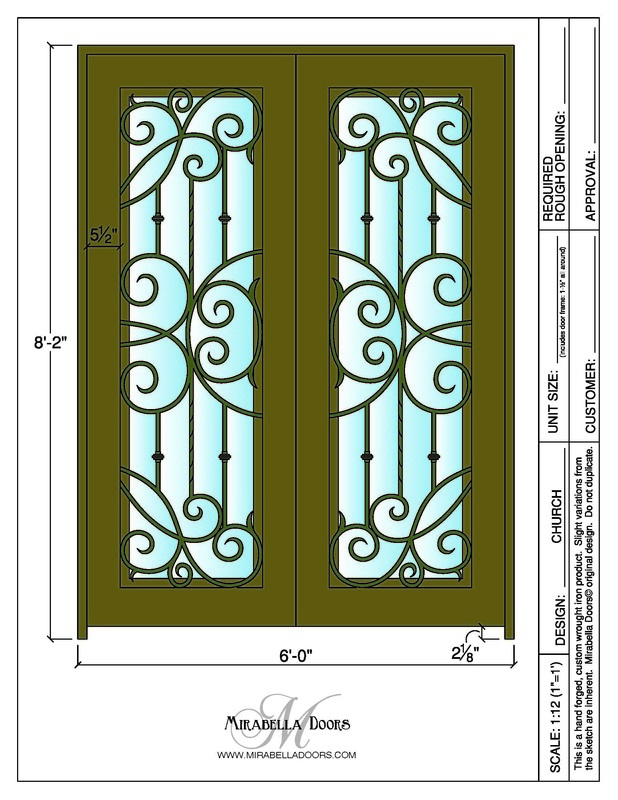 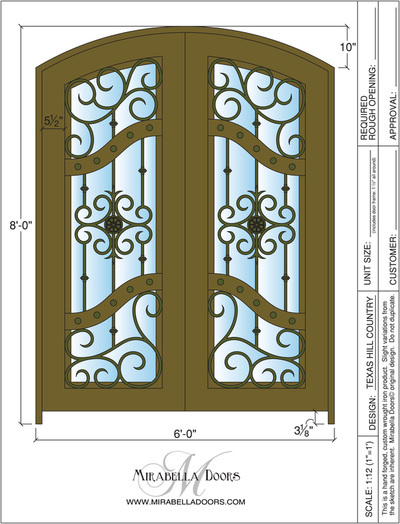 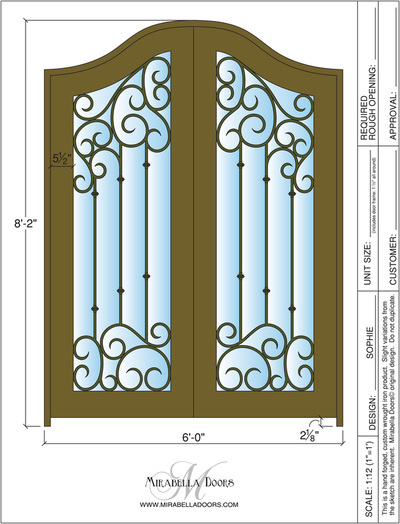 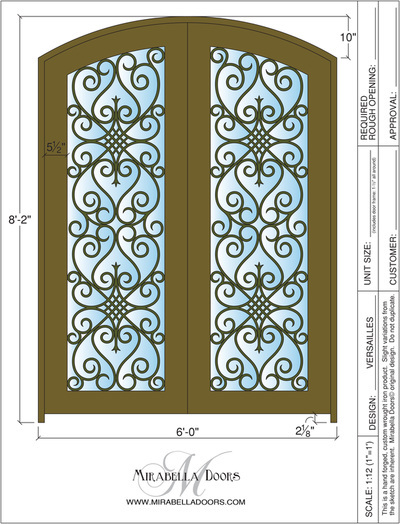 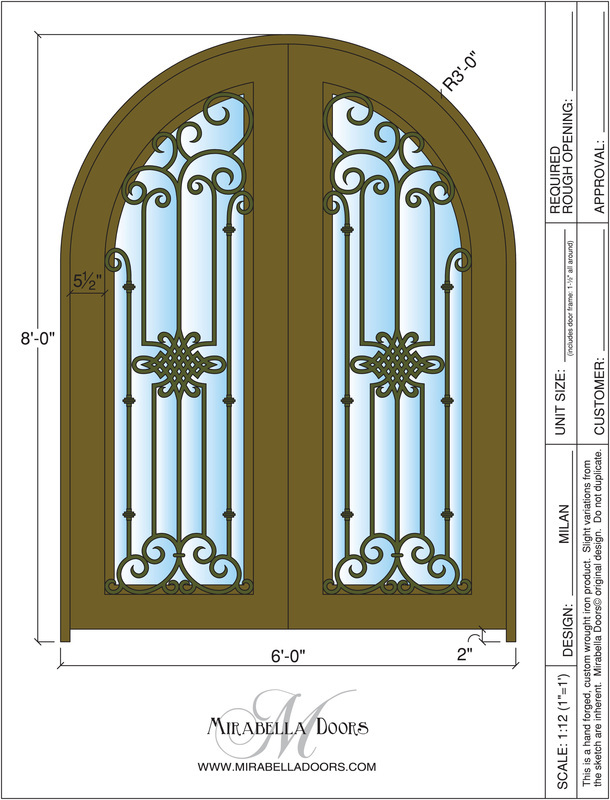 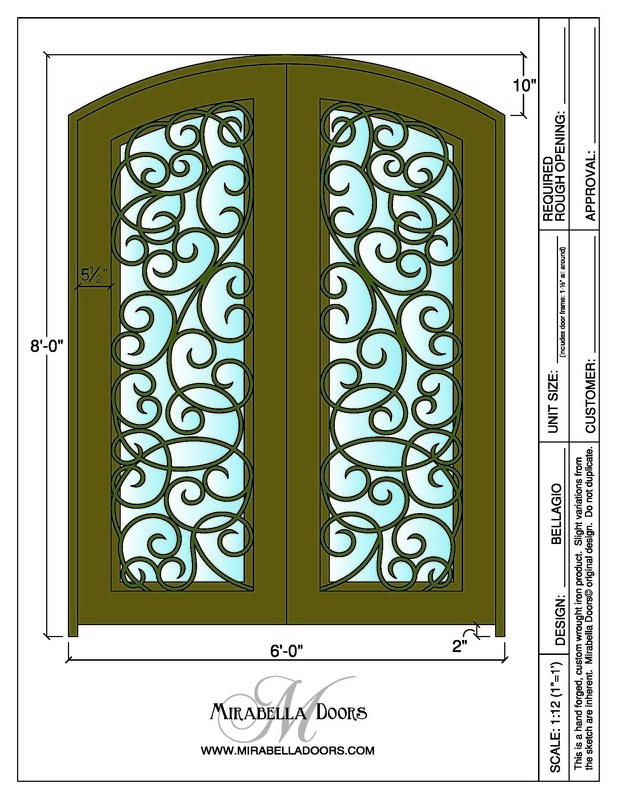 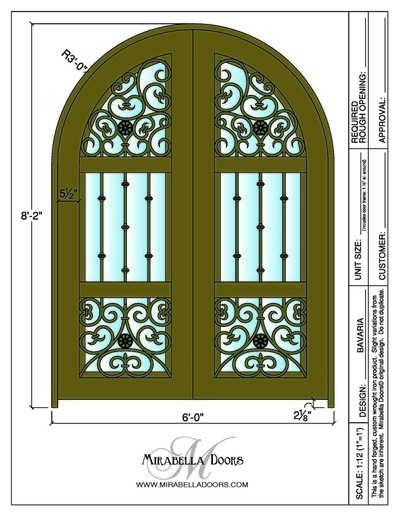 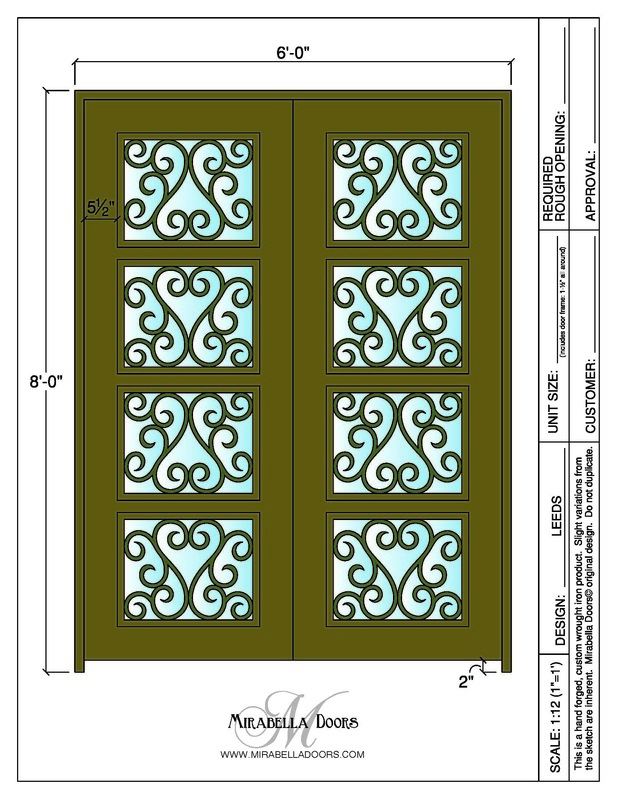 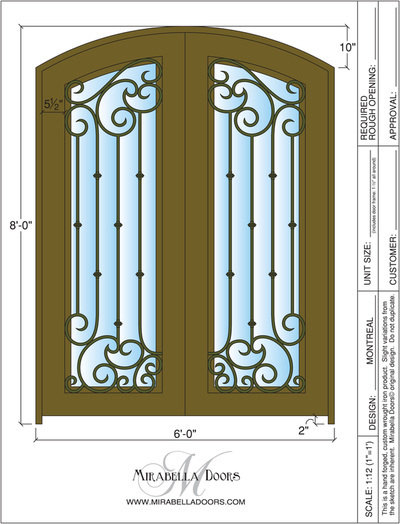 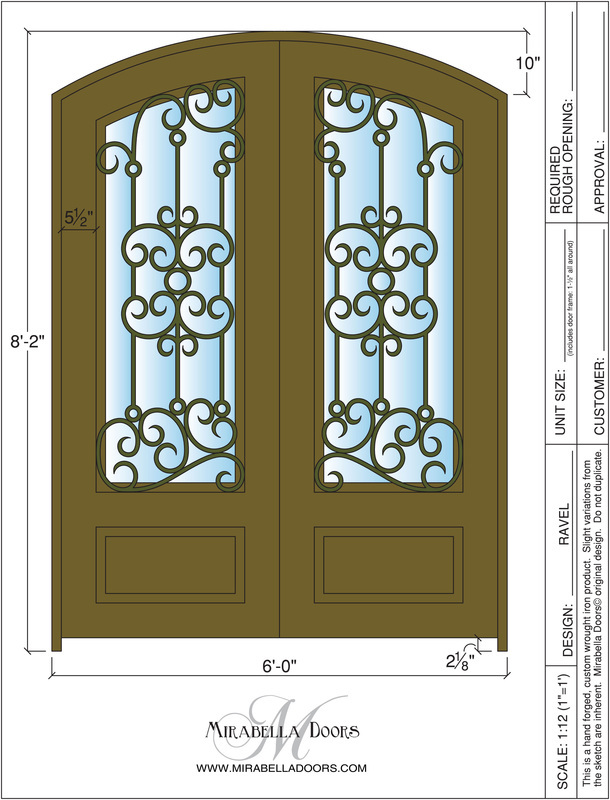 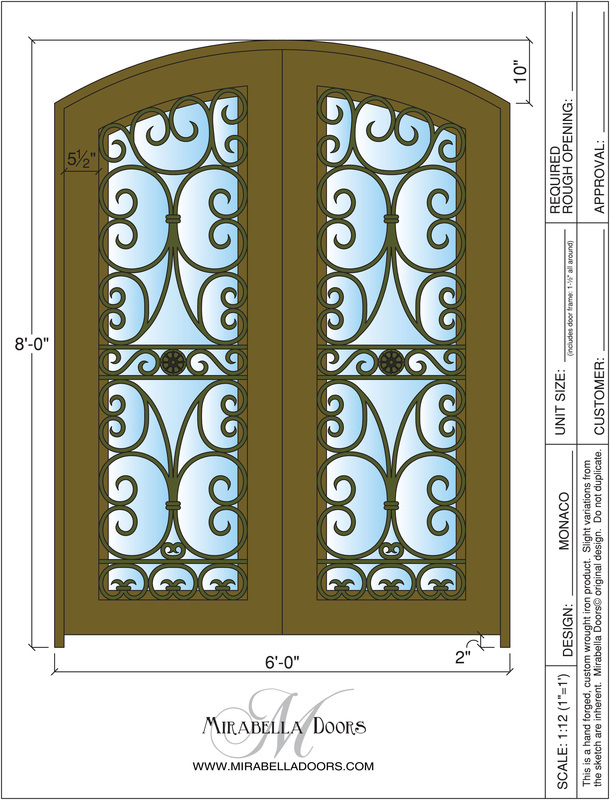 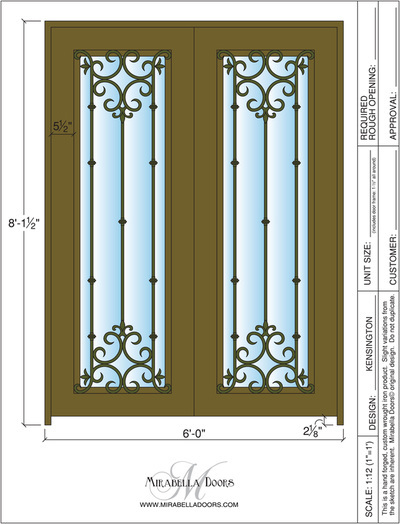 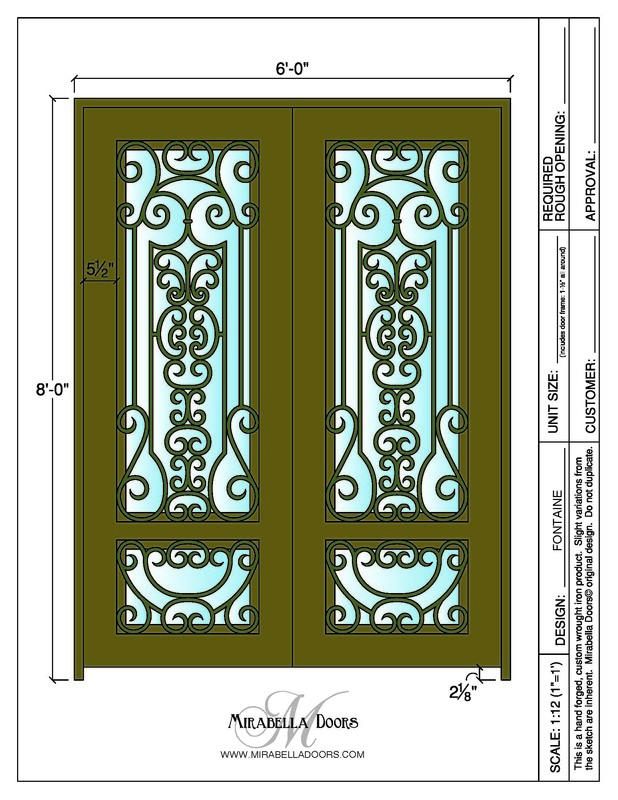 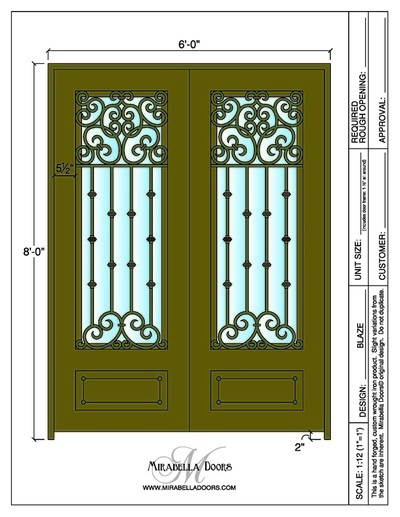 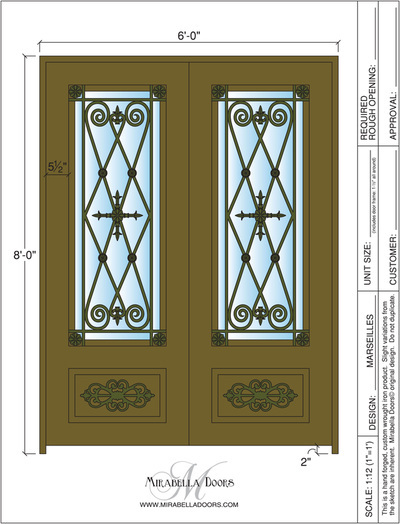 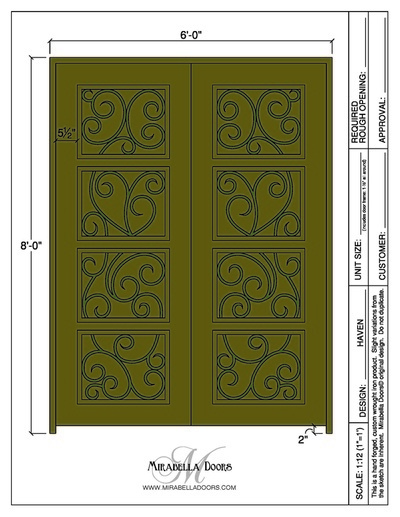 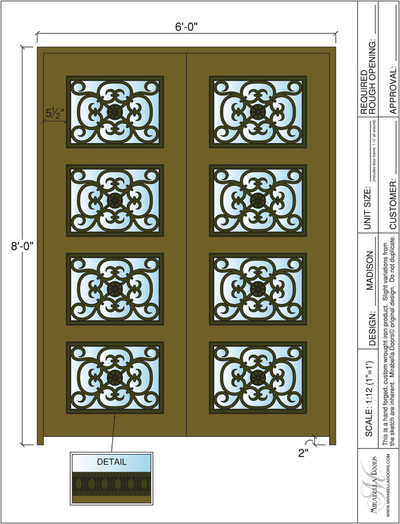 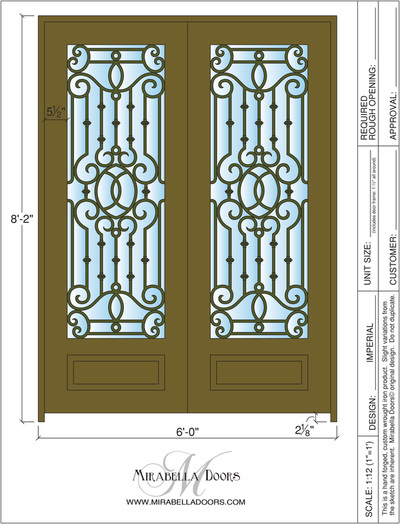 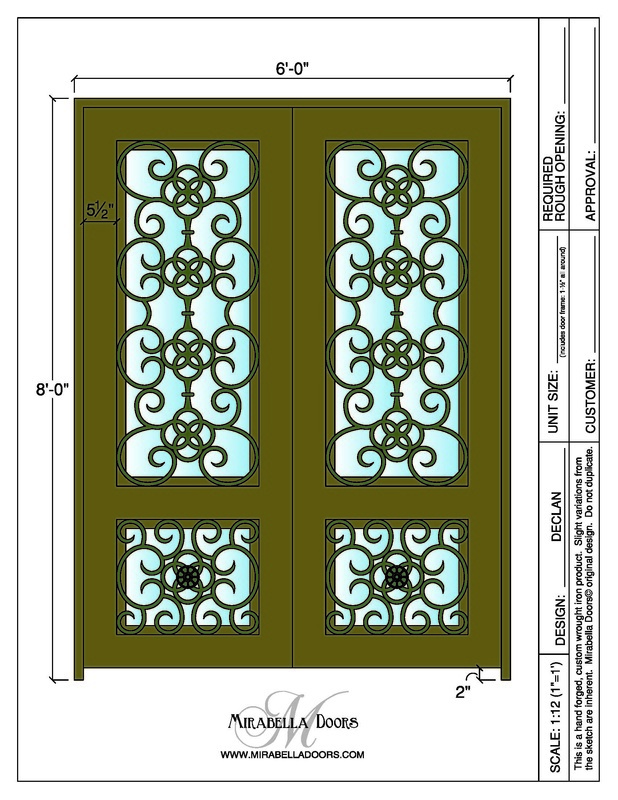 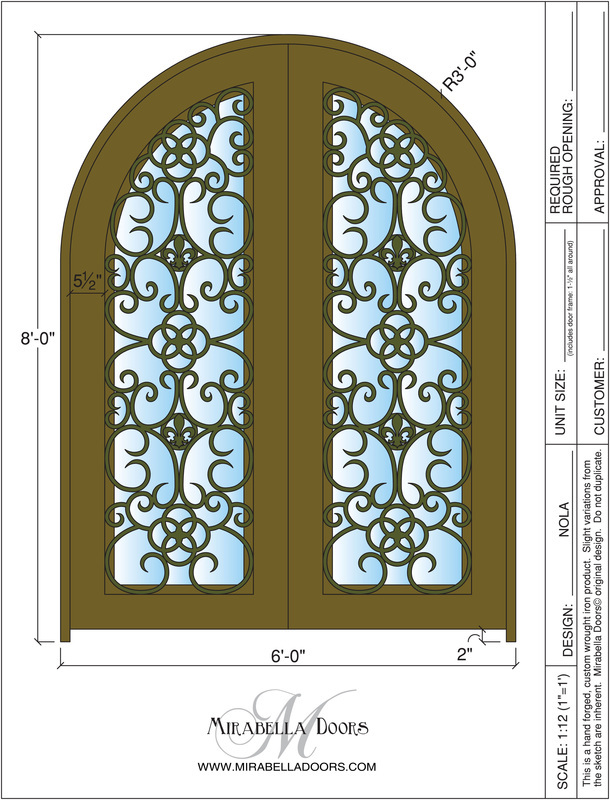 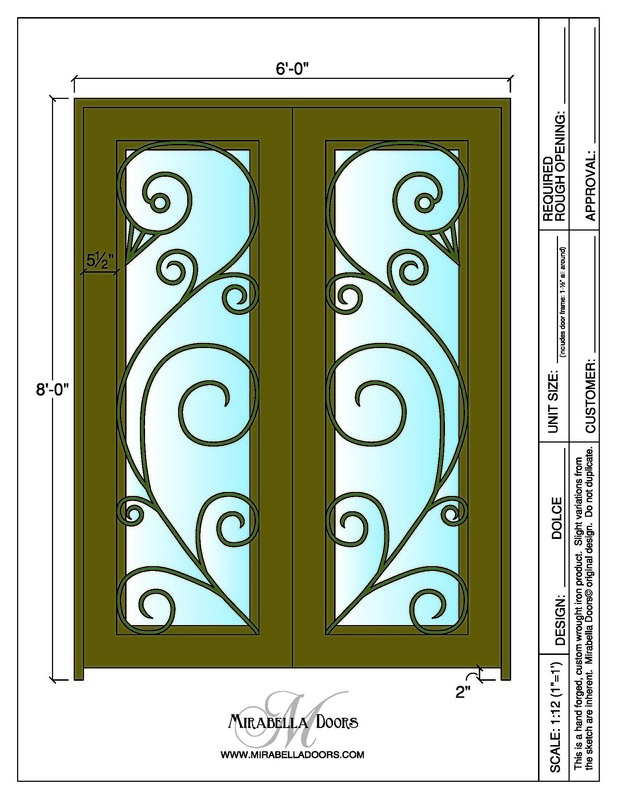 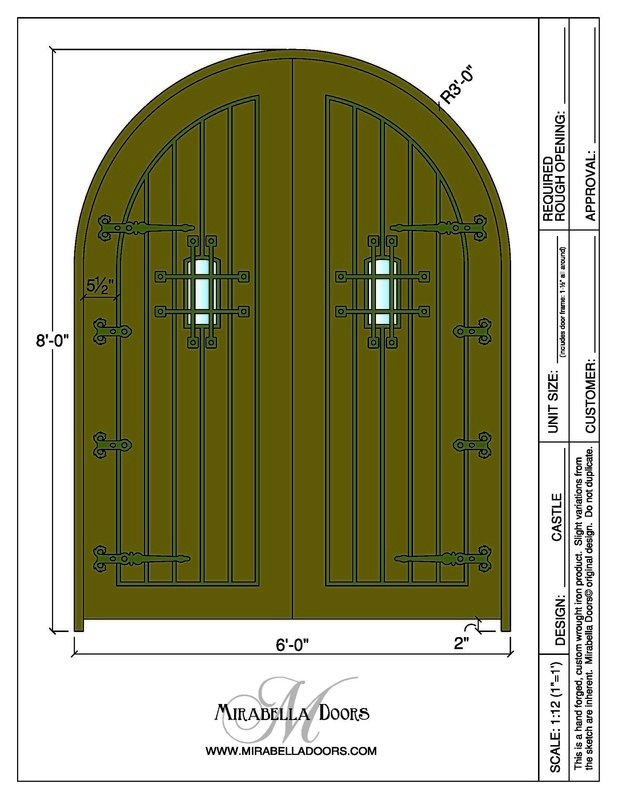 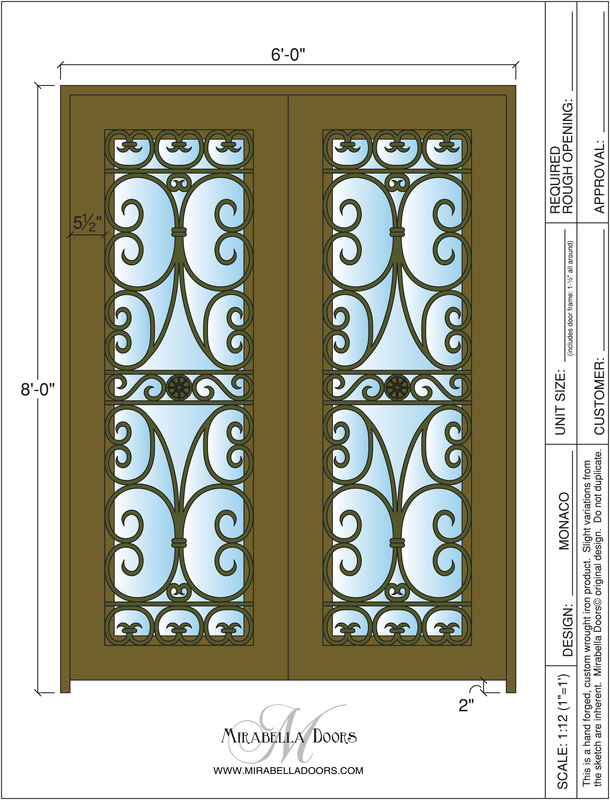 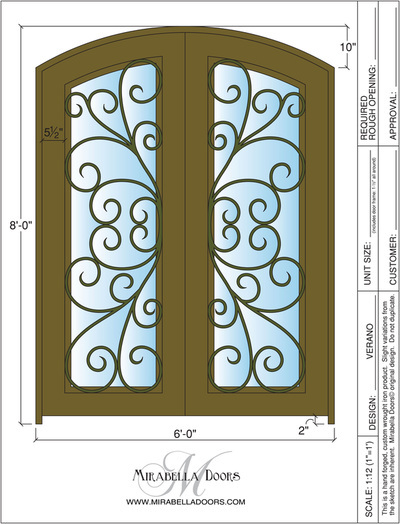 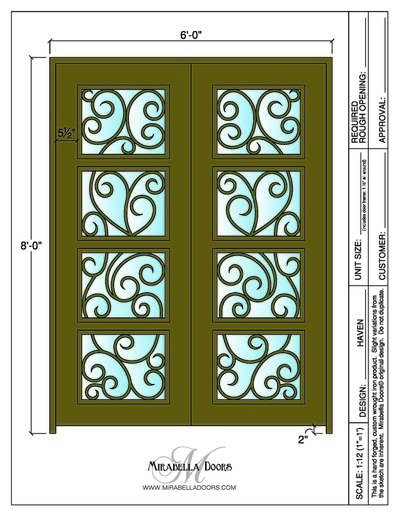 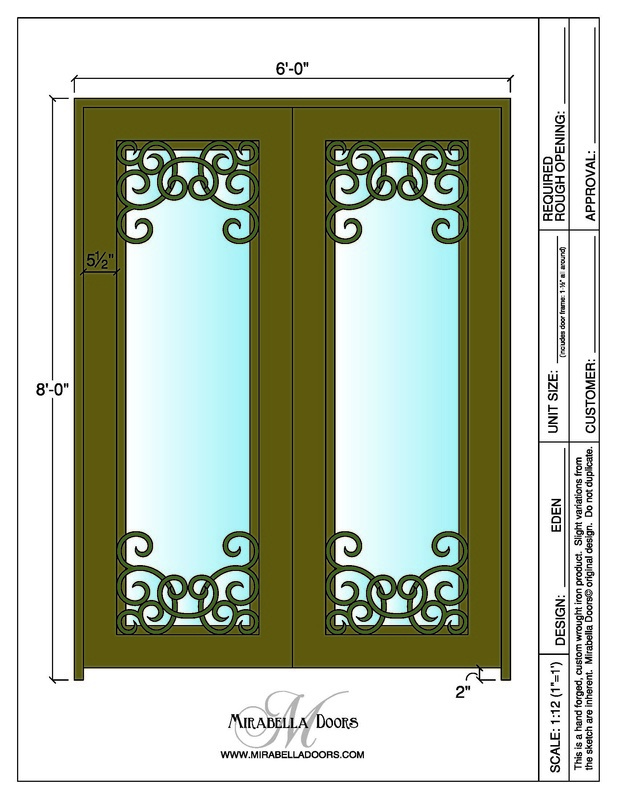 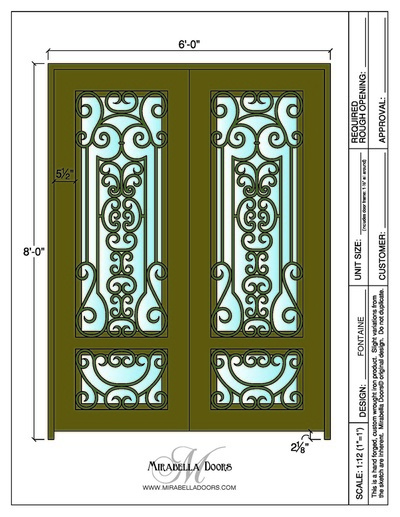 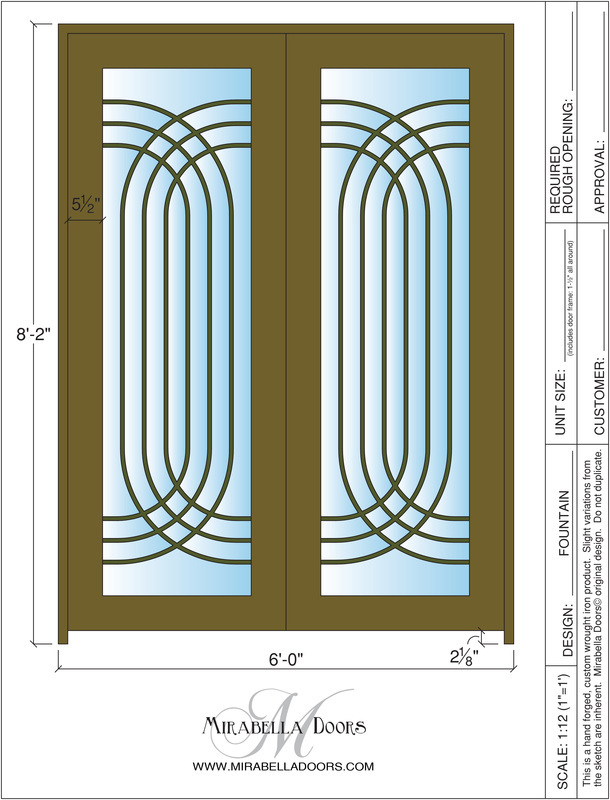 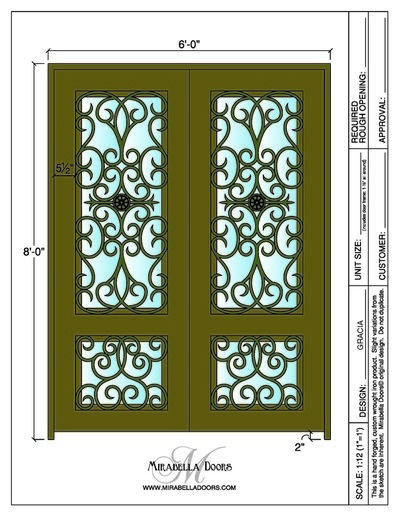 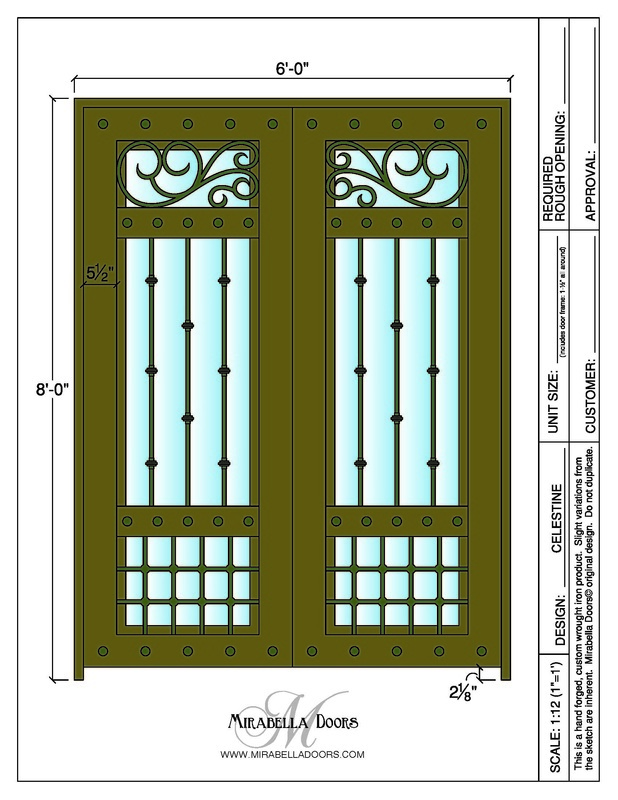 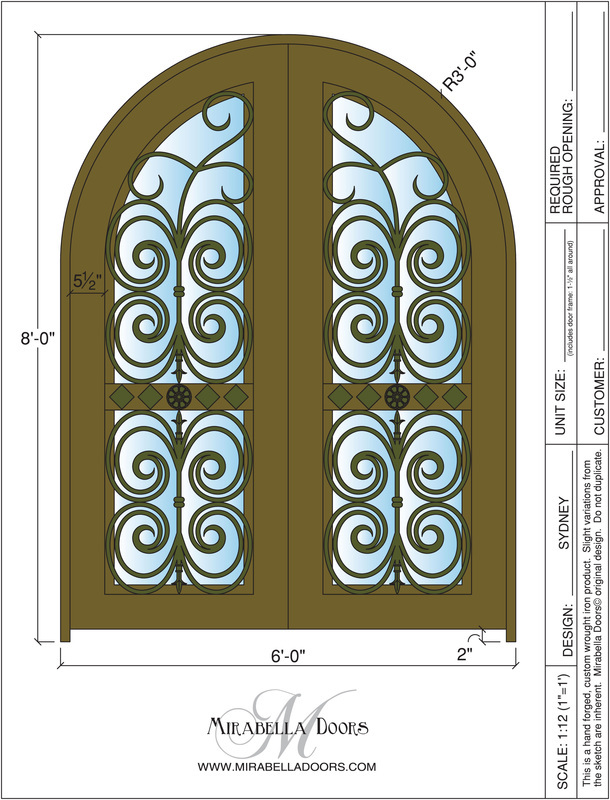 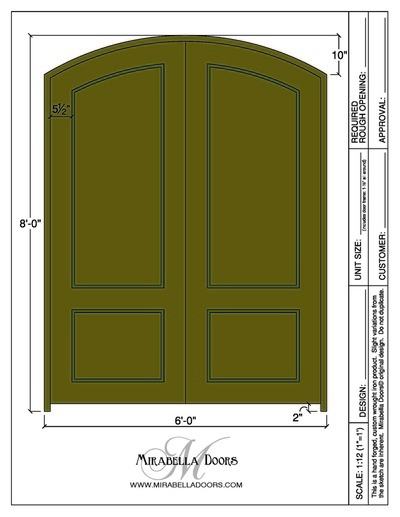 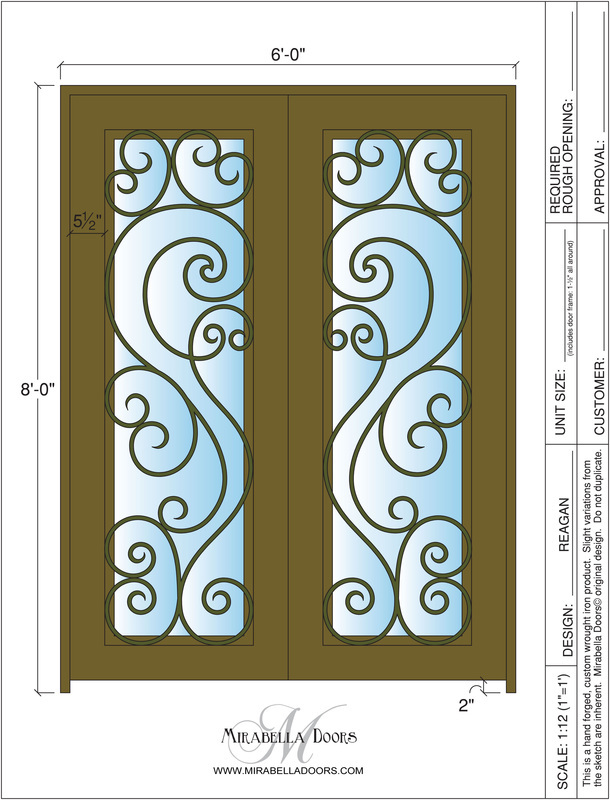 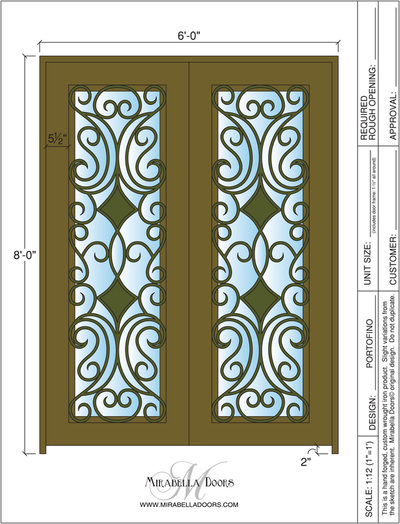 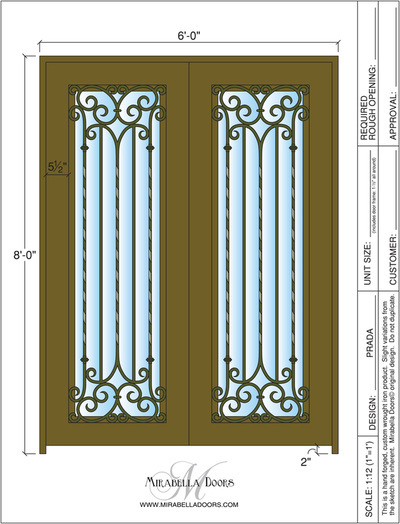 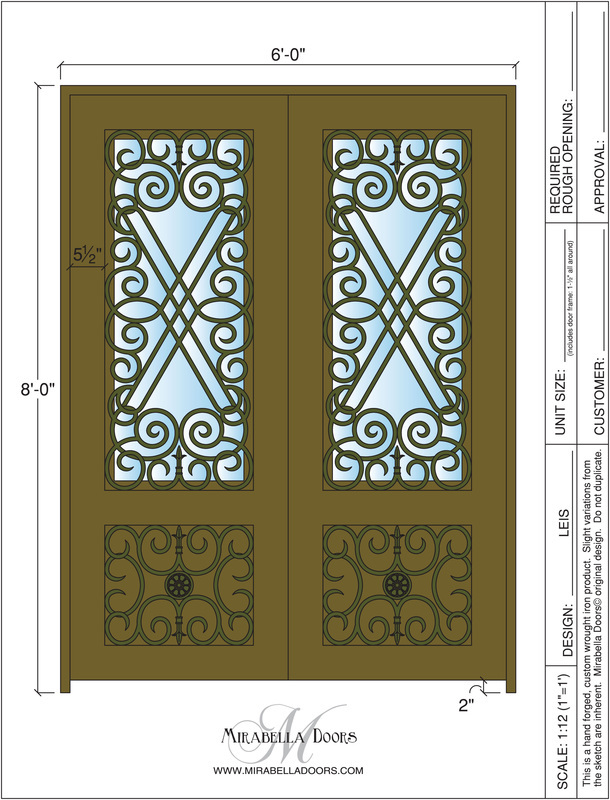 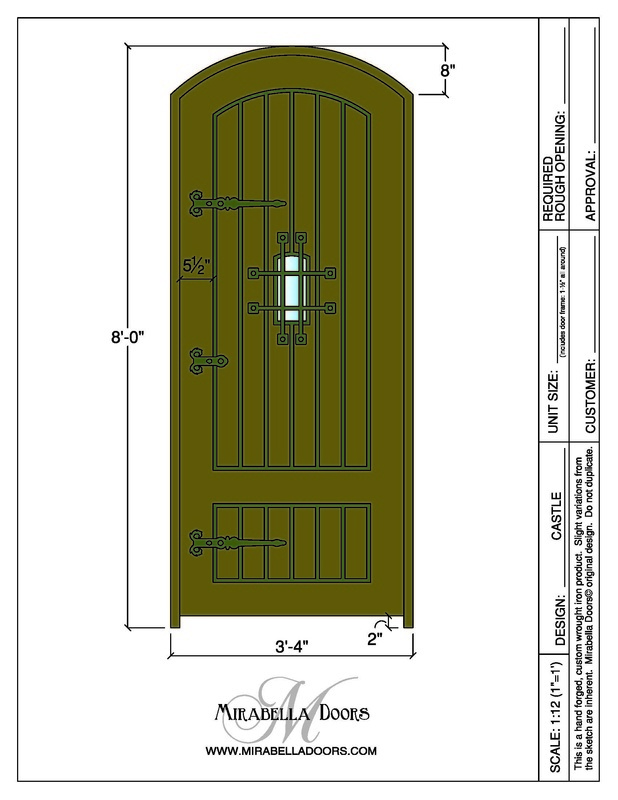 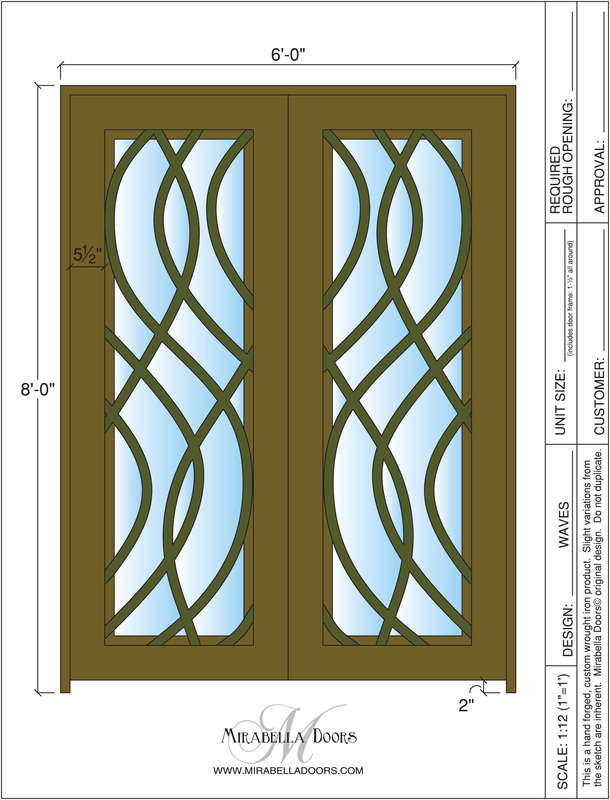 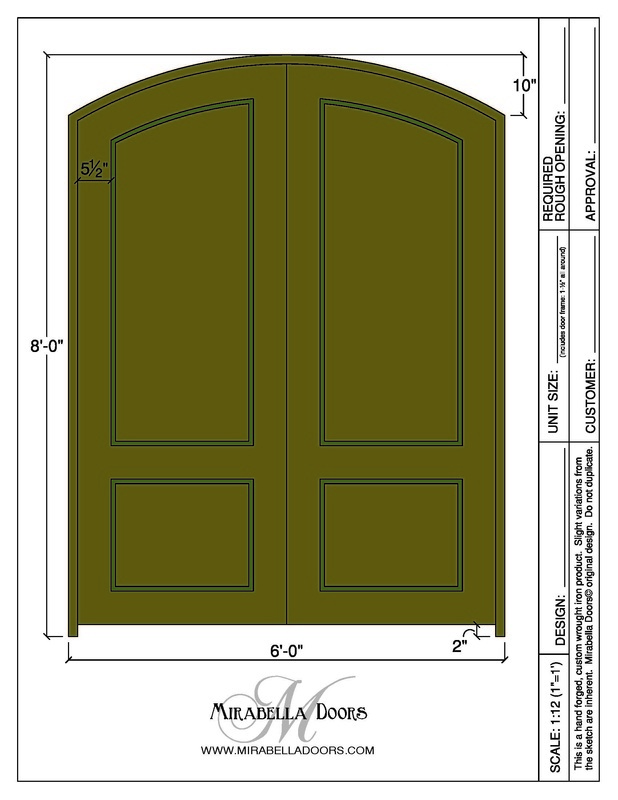 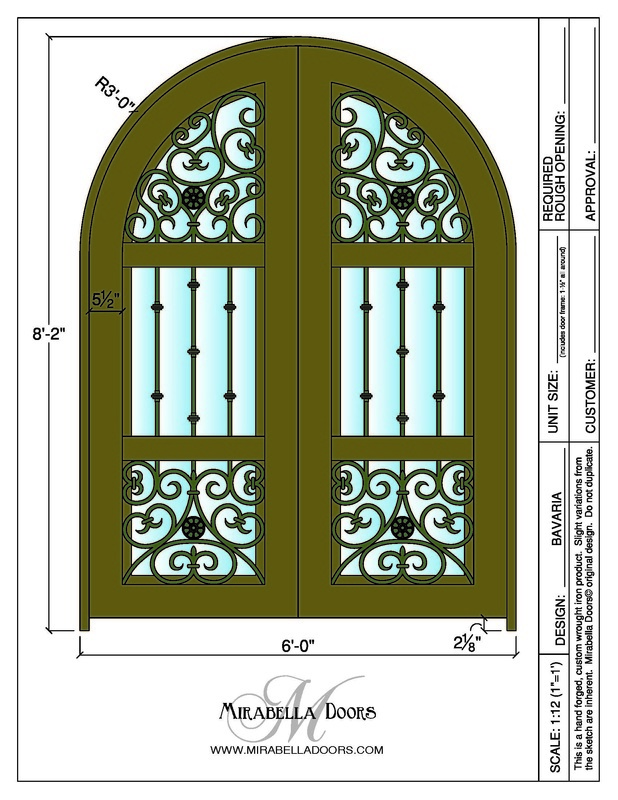 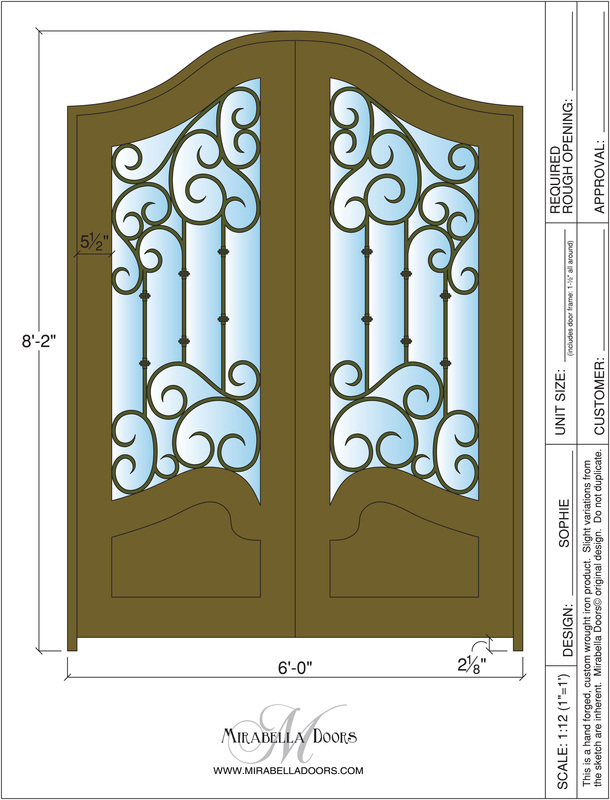 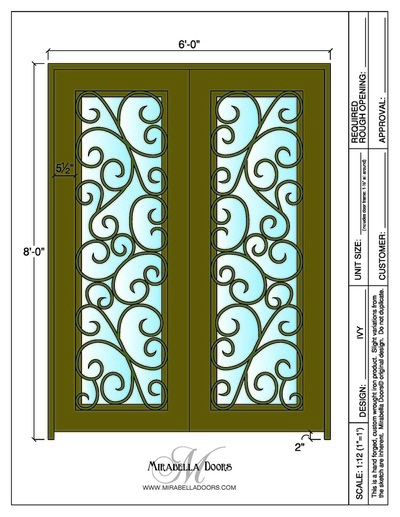 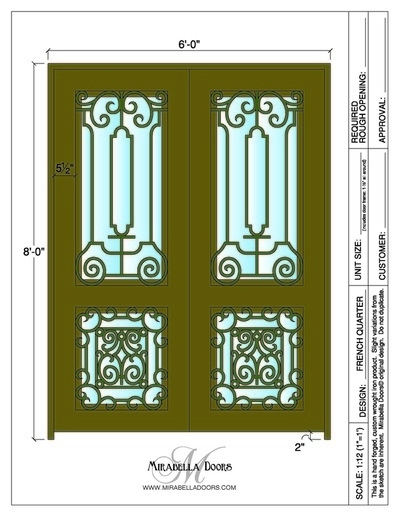 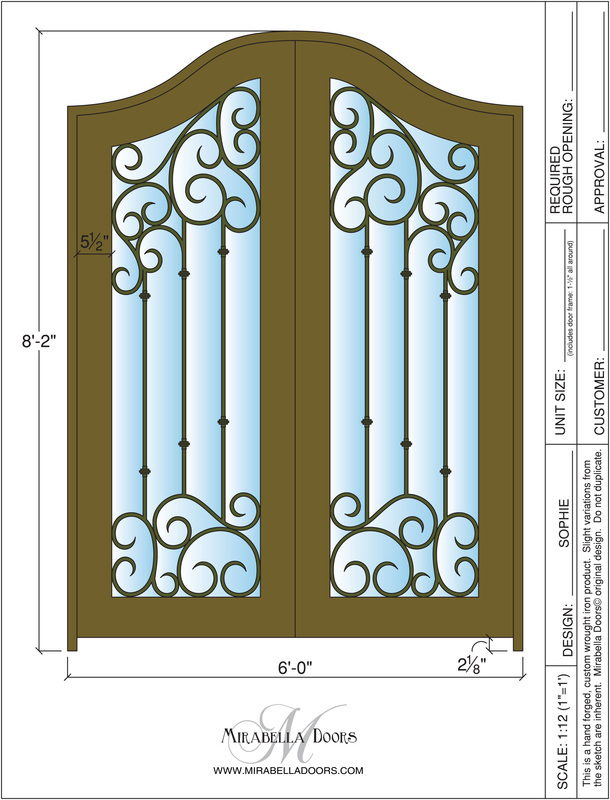 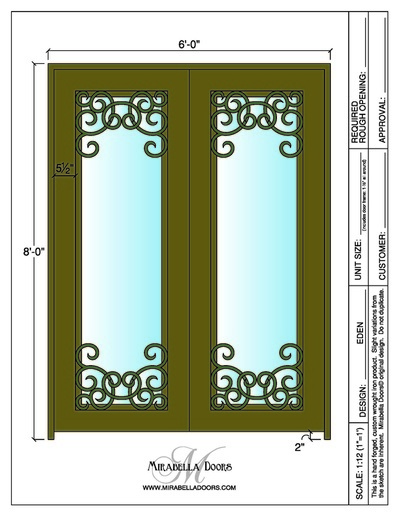 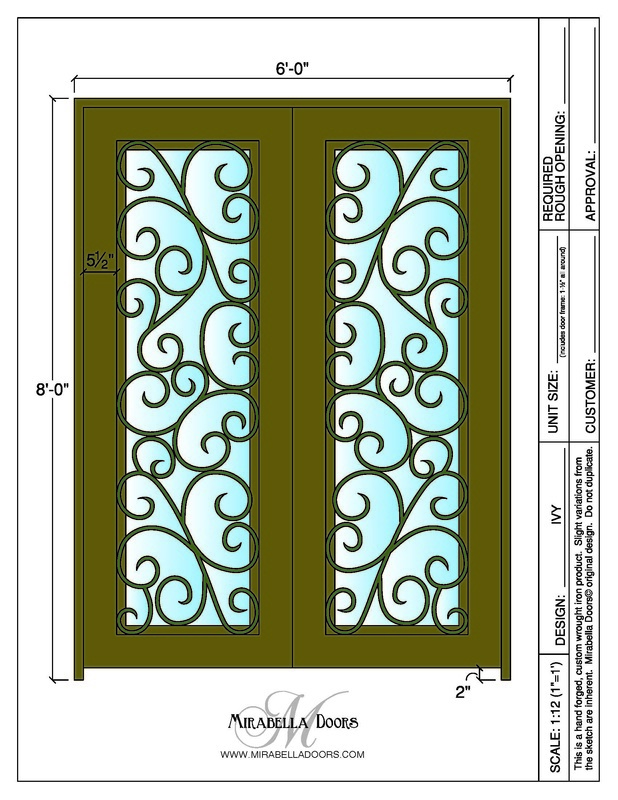 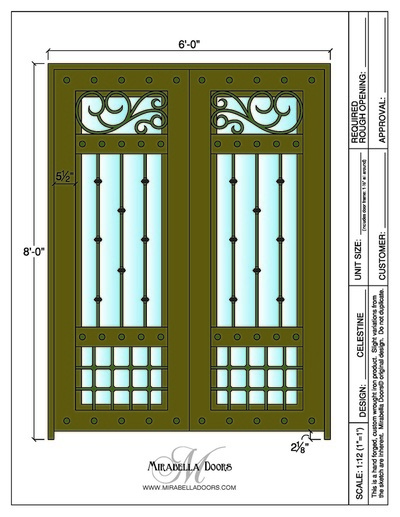 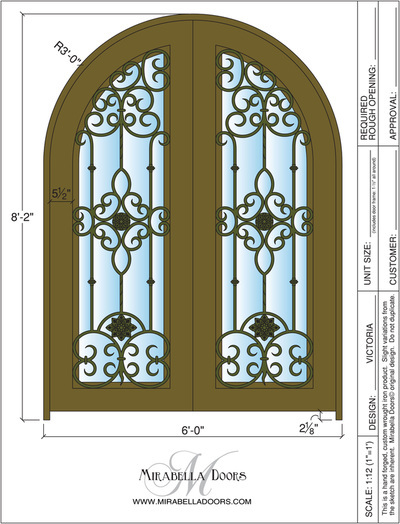 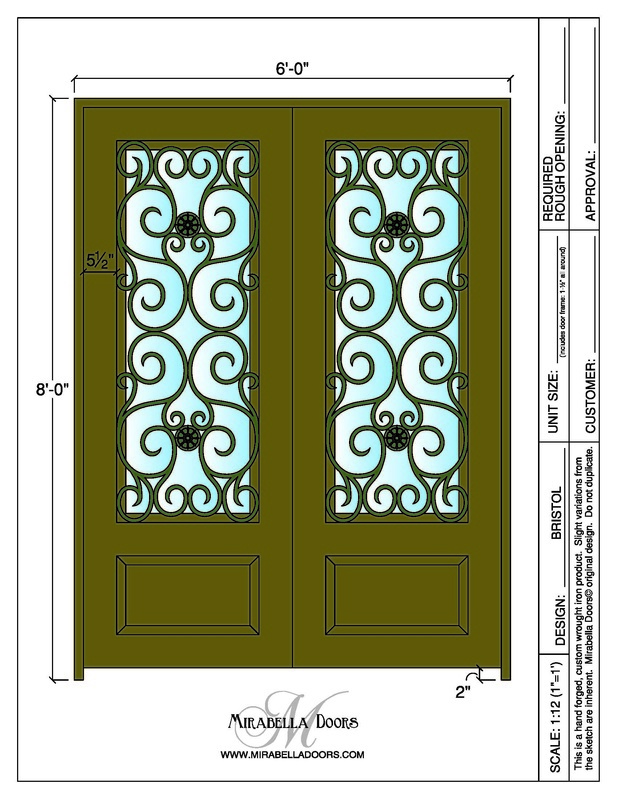 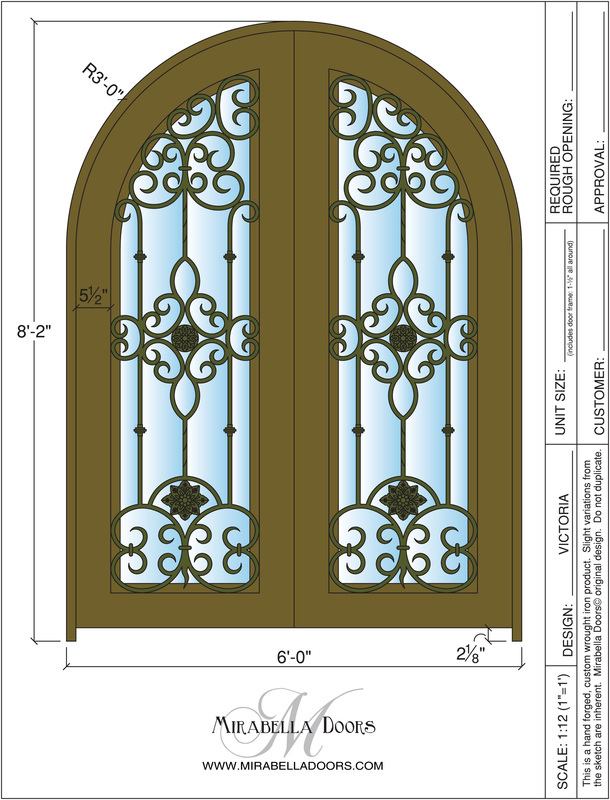 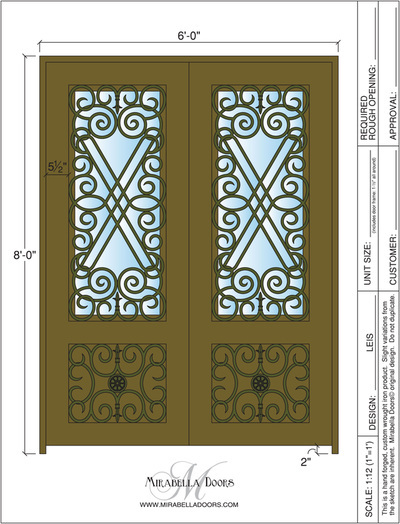 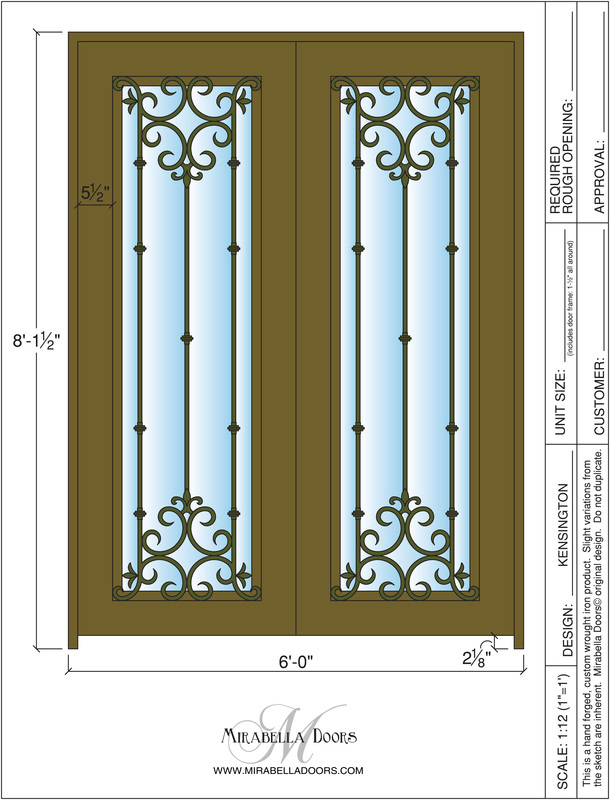 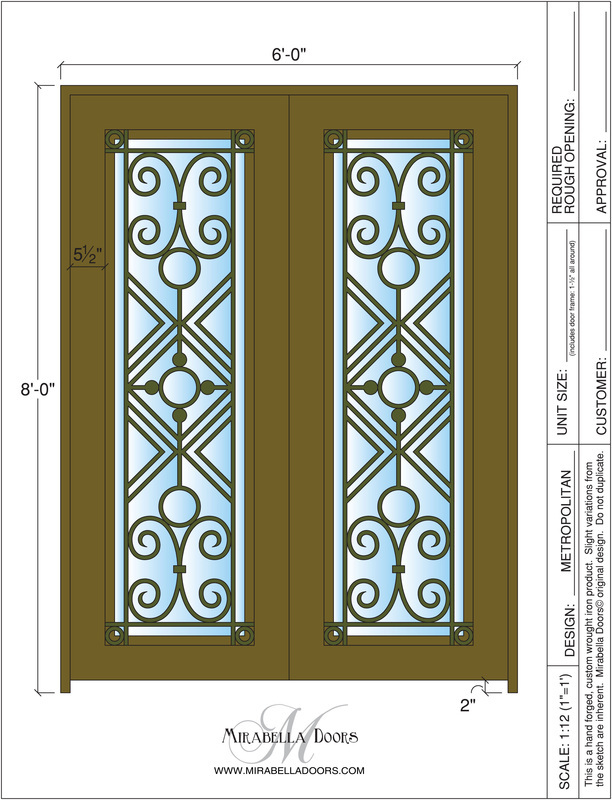 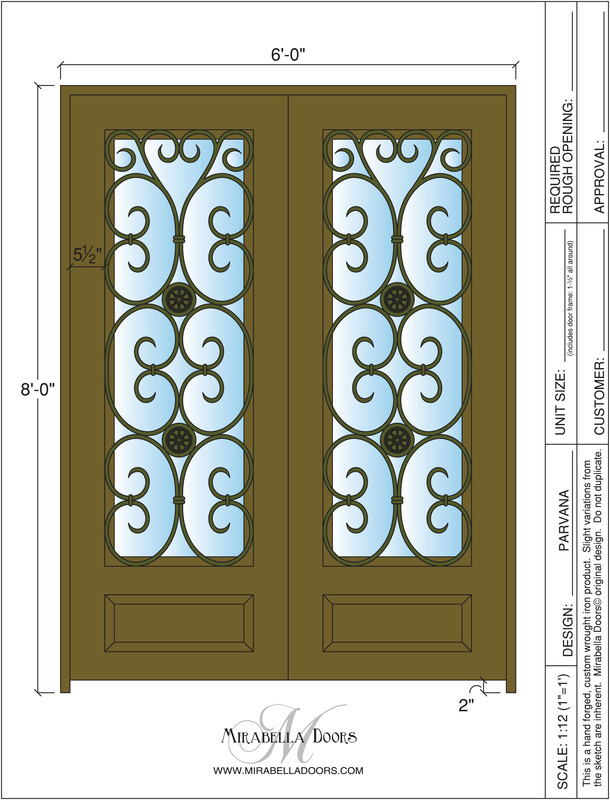 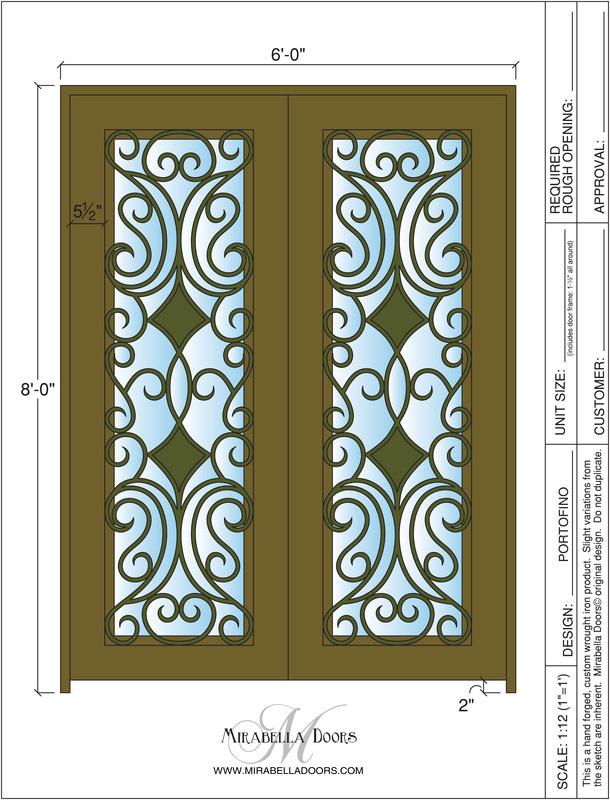 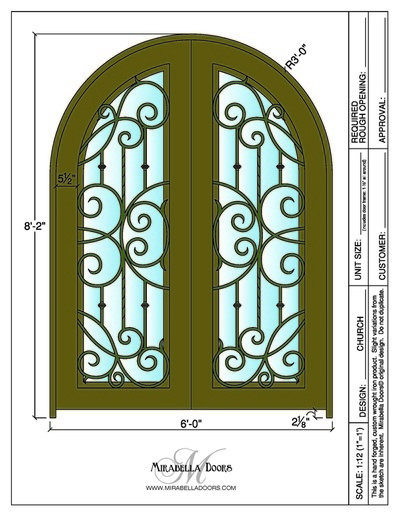 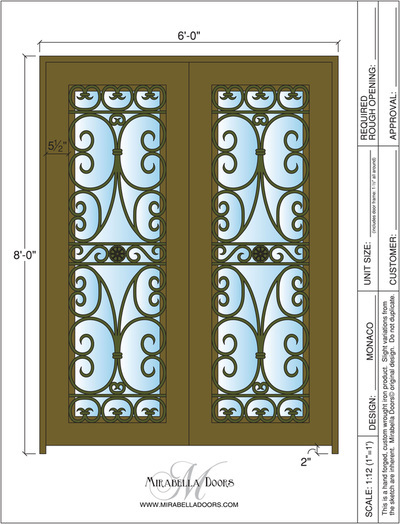 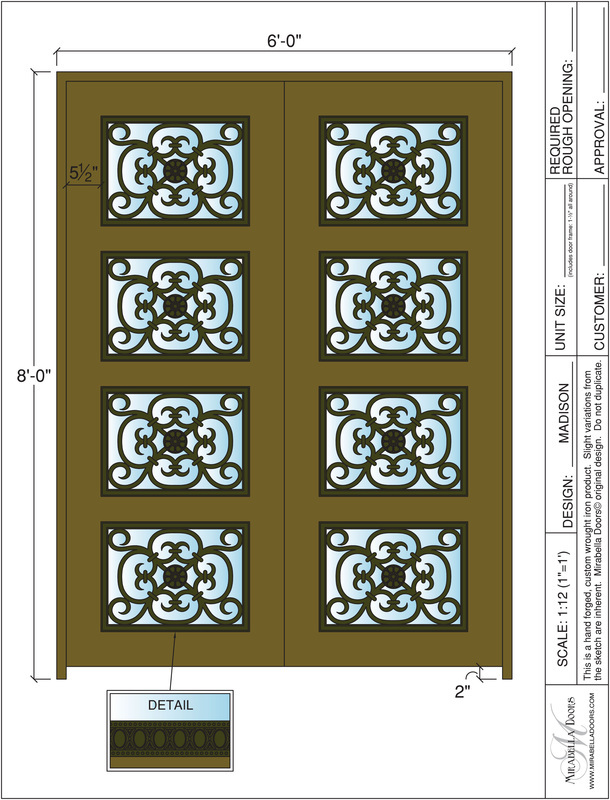 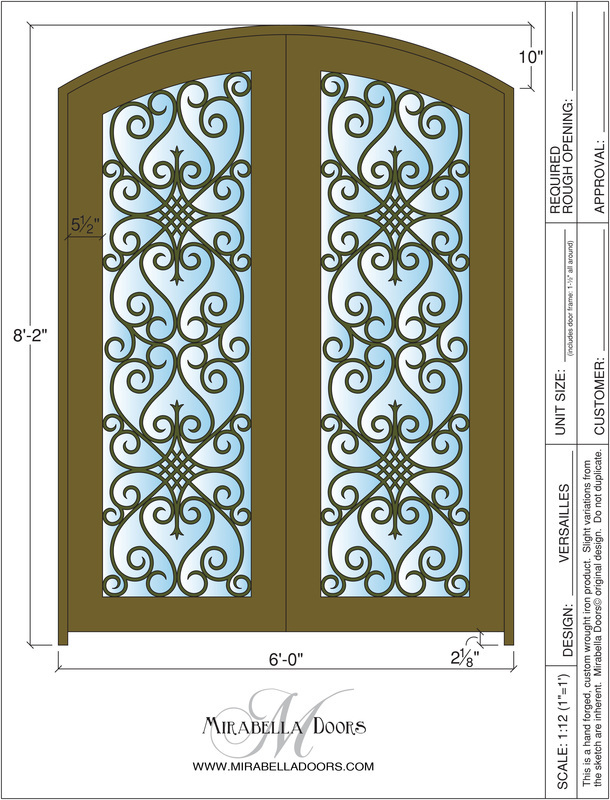 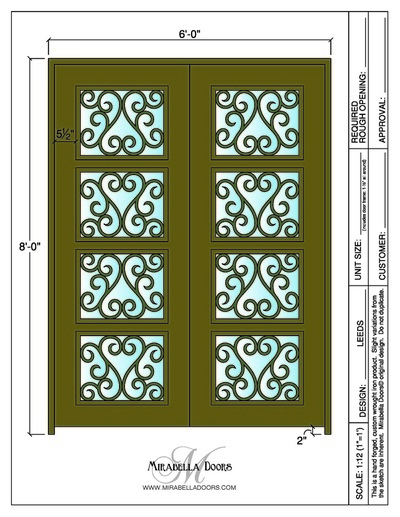 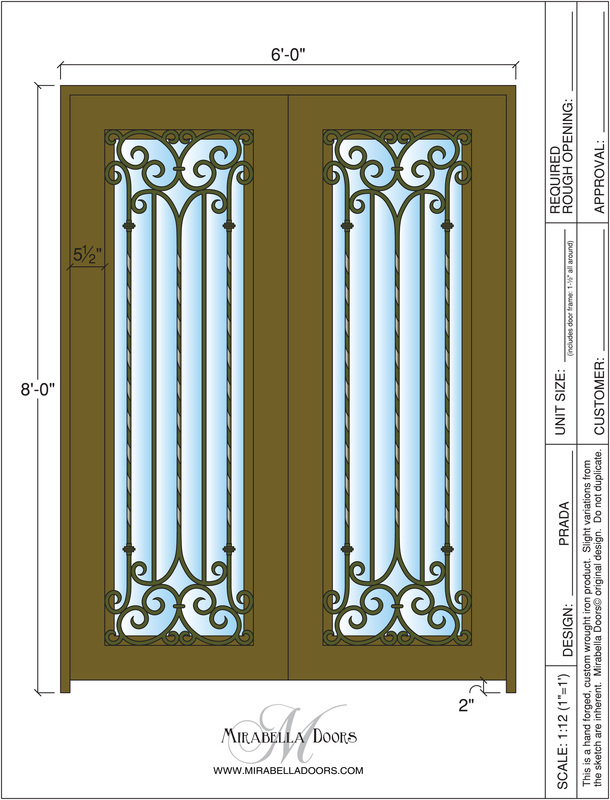 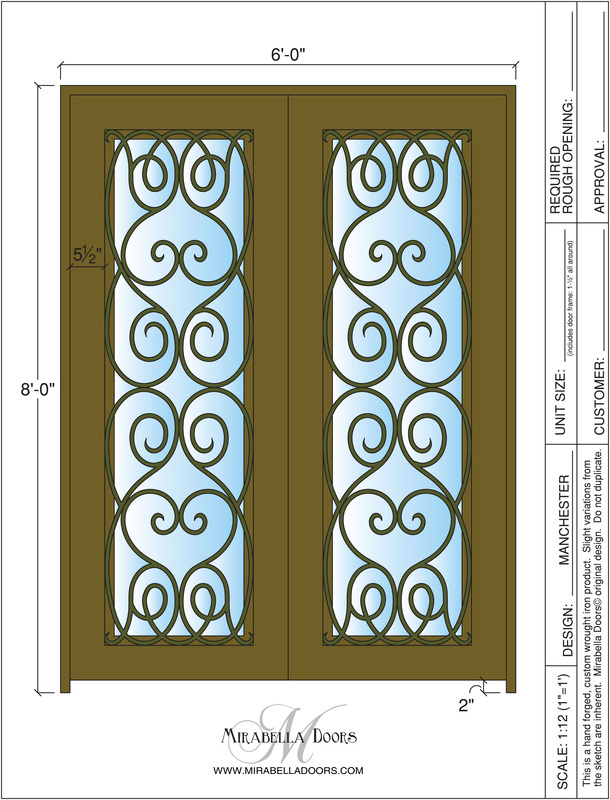 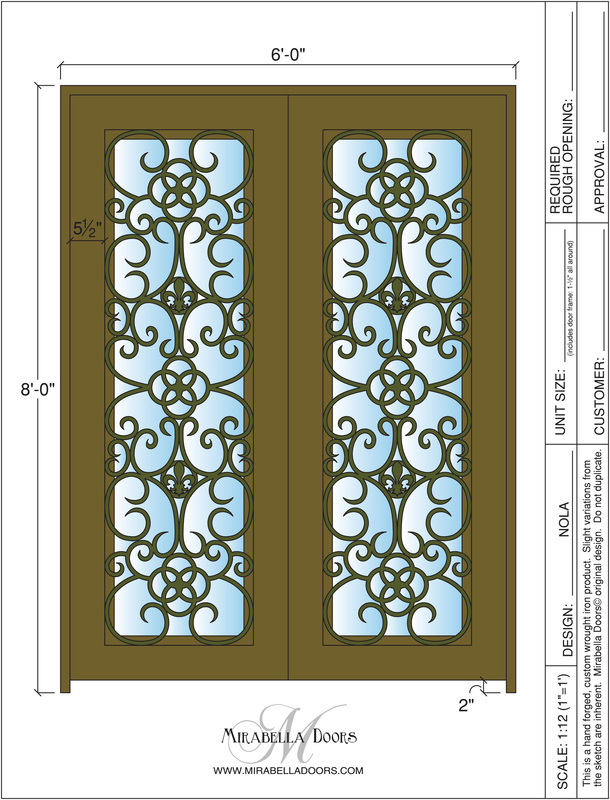 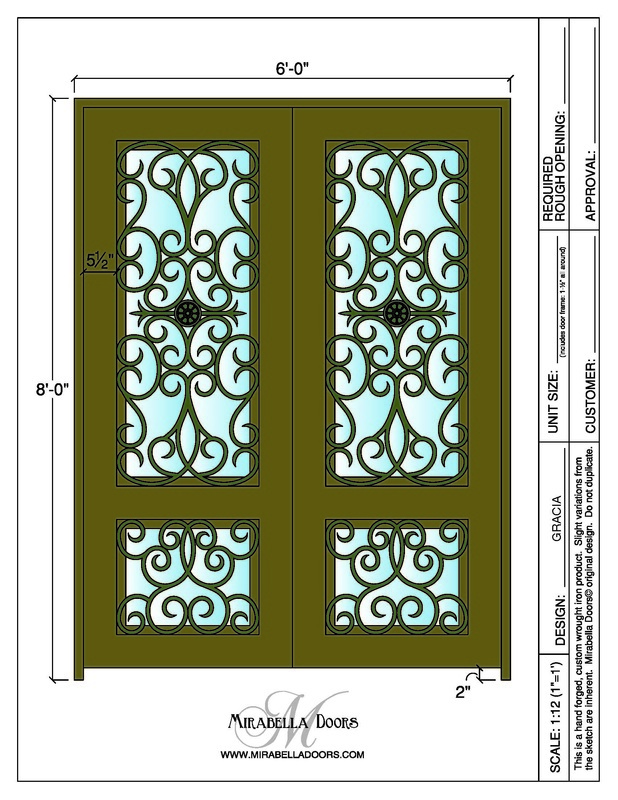 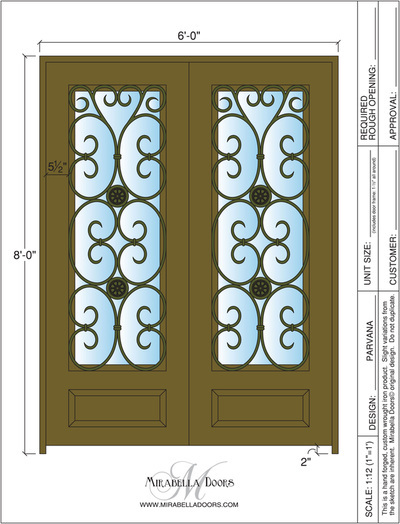 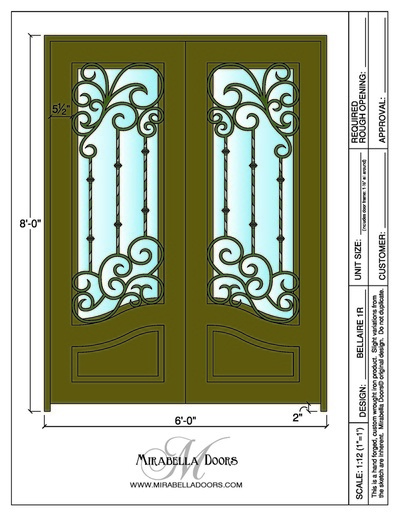 Mirabella Doors offers many beautiful, unique and upscale designs within our Design Library. 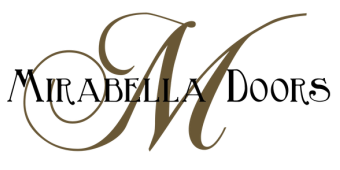 We also specialize in personalized custom design and can work with you to create the perfect design to compliment your dream home. All of the drawings featured in the Design Library can be redrawn to accommodate all door shapes – full arch, eyebrow, bell top, or straight. 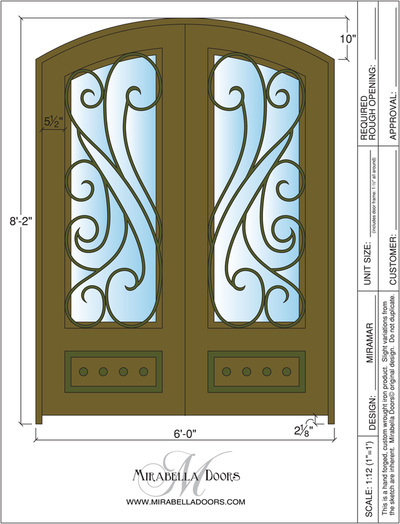 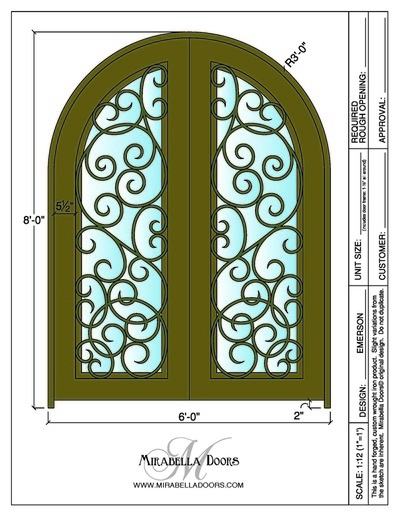 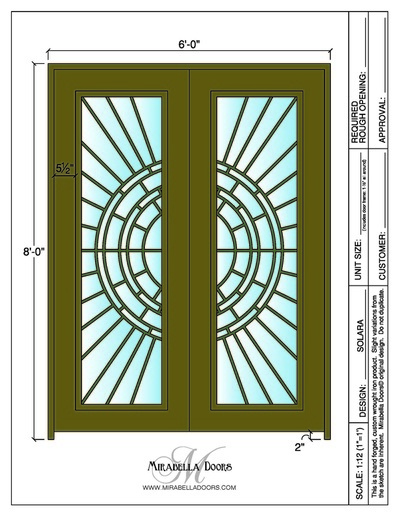 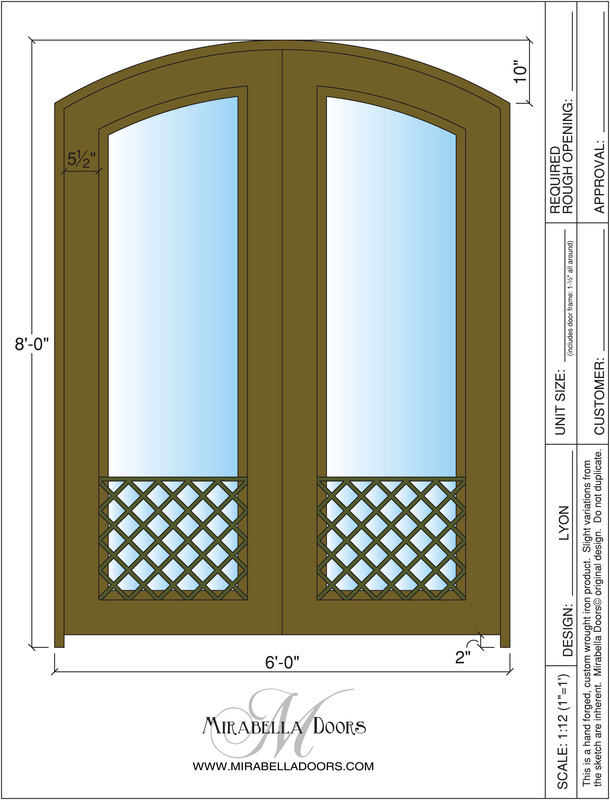 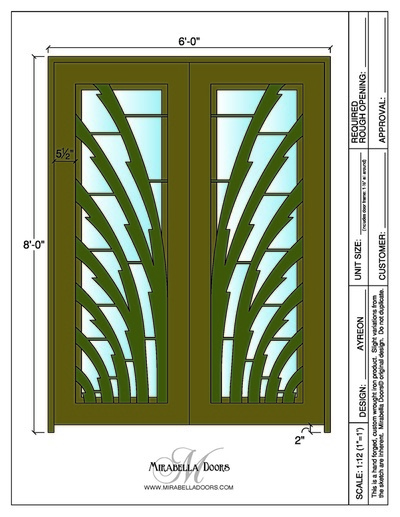 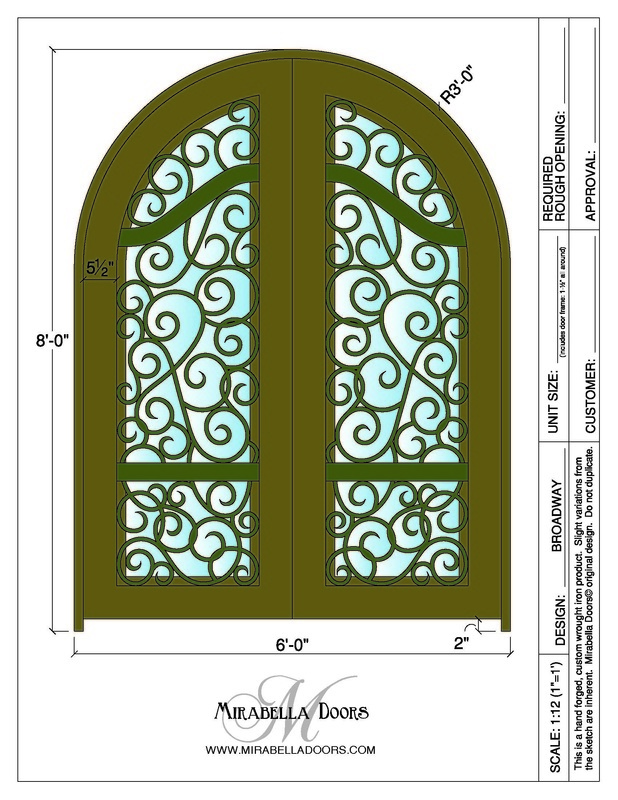 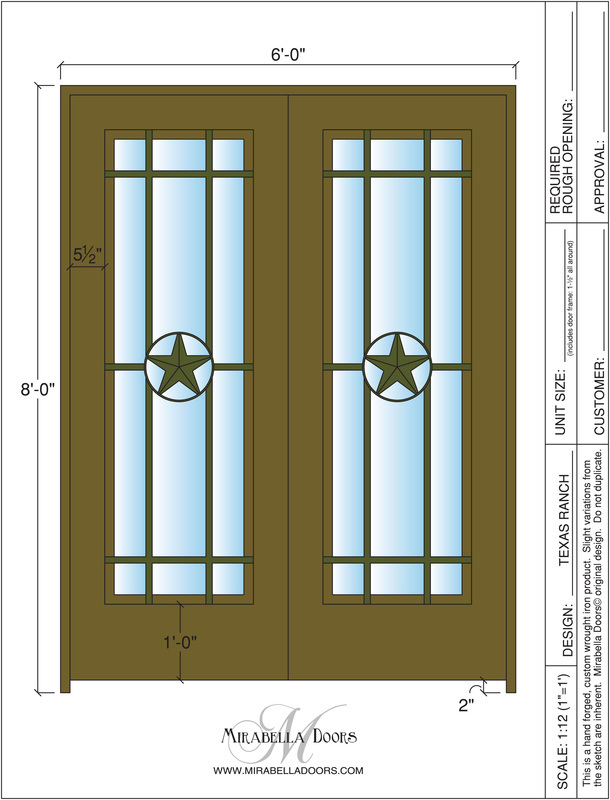 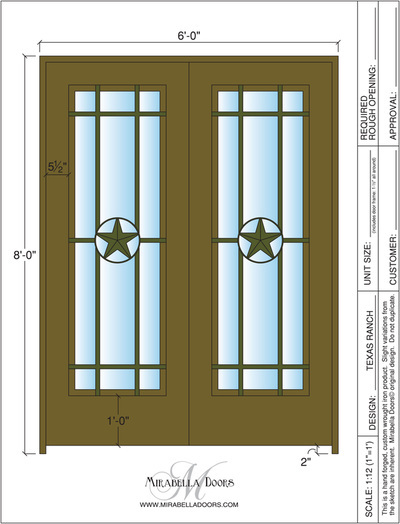 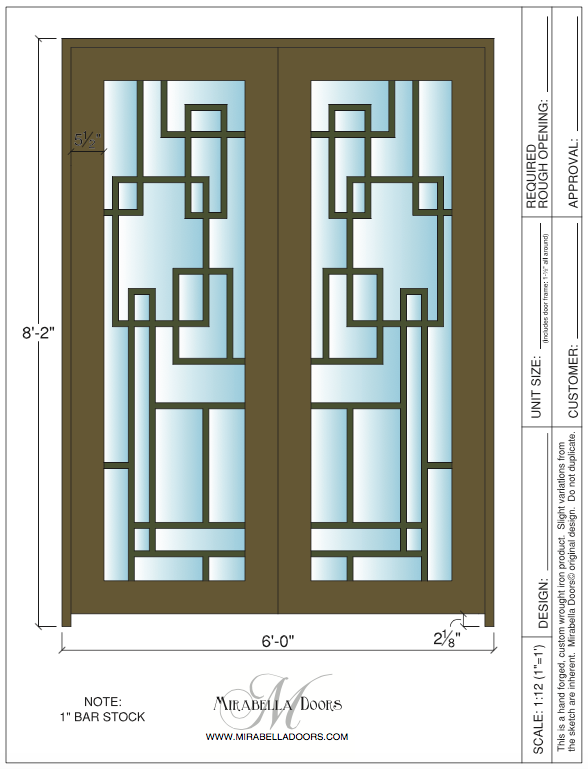 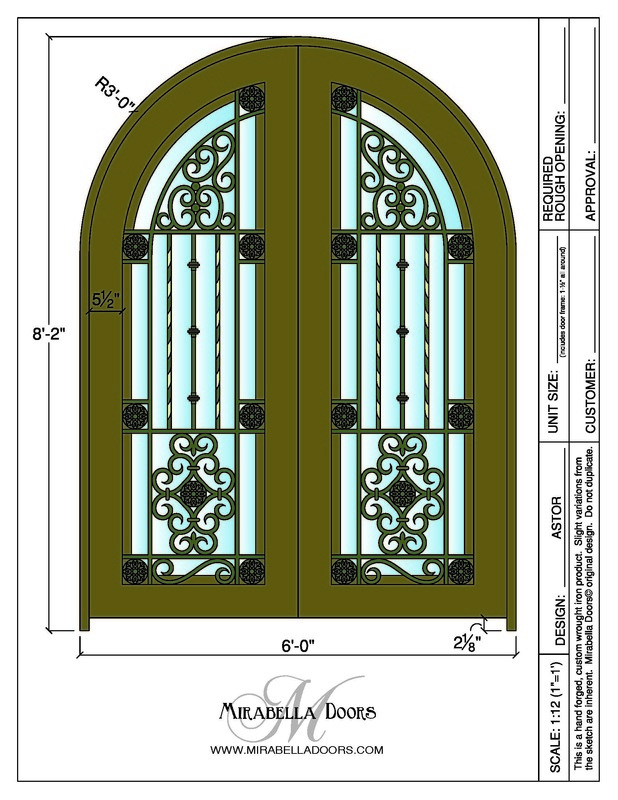 Transoms and sidelight options are available for each design.